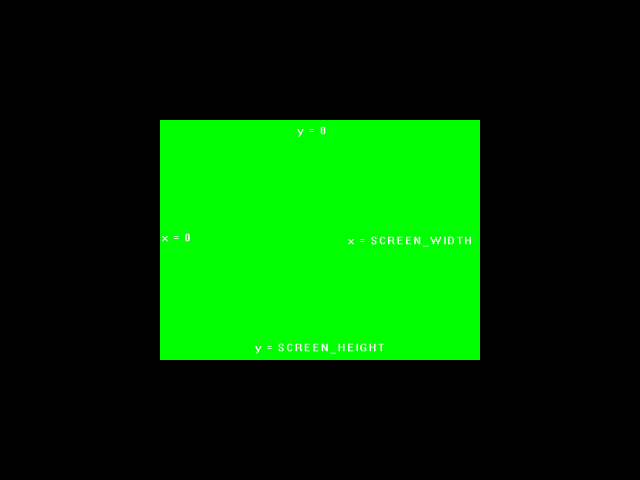 So we know how to define our coordinate system using the projection matrix, but what if we only want to render to part of the screen? This is where the viewport comes in. 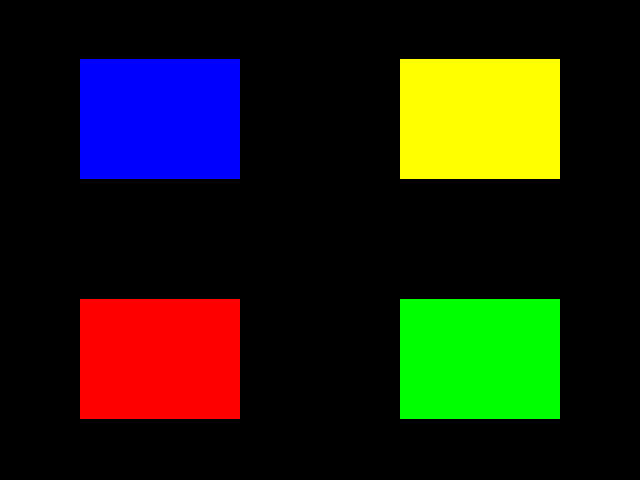 The viewport defines the rectangular area of the screen we want to render to. Here we'll be playing with it to do things like split screen rendering. Just so you're not confused when we get to the rendering code, we have some enumerated constants that define the different ways we're going to be using the viewport. Here's the top of our LUtil.cpp file. Near the top, we have global variable "gViewportMode", which defines how we're going to use the viewport. Our initGL() function is pretty much the same as before, but now it has a call to glViewport() to initialize the viewport. 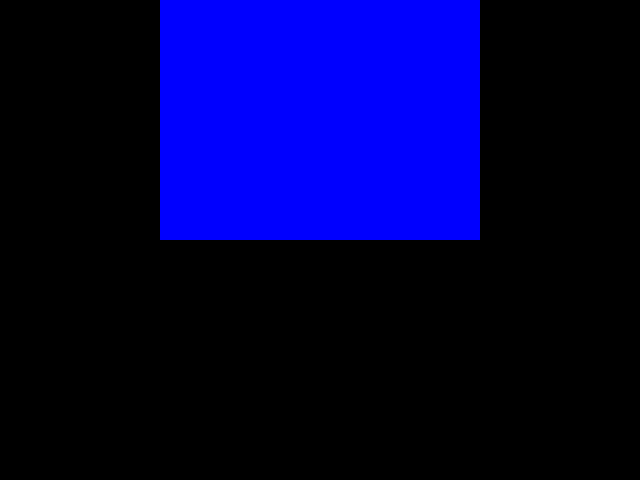 glViewport() defines what part of the screen we want to render to by defining the x coordinate, y coordinate, width, and height of the rendering area. As you can see here, we're just telling it to render to the whole screen. At the top of our rendering function, we clear the screen and reset the modelview matrix as usual. After that we translate to the center of the screen. For the rest of our rendering notice how we make no other transformation to either the projection or modelview matrices. In "VIEWPORT_MODE_FULL", we set the viewport to be the full screen and we render a full screen quad. It may seem redundant to set the viewport again, but in this demo we're going to be changing up the viewport depending on "gViewportMode". So the rendering coordinates are still 640x480 even if the viewport is 320x240. An important thing to note is while our projection coordinates have Y+ as down and Y- as up, the viewport coordinates aren't guaranteed. On GLUT, Y+ is up and Y- is down for viewport coordinates. On some windowing systems, Y+ is down and Y- is up for viewport coordinates. So when working with different windowing systems, don't assume the viewport coordinates are the same. Here we have multiple viewports, which is useful for splitscreen games and simulations. The same quad is rendered 4 times, just with different colors and viewport locations. And for our last of the viewport demos, we render a full sized scene, and then render a smaller version on the top left corner. Having a viewport inside of a viewport might be useful for things like rendering a radar on the screen. Of course, at the end of our rendering function we update the screen. Lastly, here's our key handler. All it does is cycle through the viewport rendering modes when the user presses q. We would go over our main() function, but as you'll see in the source code it's indentical to the previous tutorial. Download the media and source code for this tutorial here.